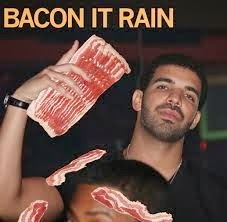 Black Swamp Bayou: Pigapult - Raining Bacon! The Pigapult, invention of the LaCroix to bring the Hedfield family to heel, is an interesting model. It needs fuel in the form of Piglets, Stuffed or alive, to perform at peak efficiency. Now is that a good thing or a bad thing? I’ll leave it for you to decide. The Pigapult is an eight Soul Stone model that is a Peon and Insignificant. This model is built to do one thing and it’s not interacting or contributing directly to those ever-precious Victory Points, this bad boy wants to kill stuff dead! The Pigapult is a construct so no Horror duels for this contraption, well unless it’s Terrifying (All) or (Construct). Even then it has a mighty Wp of 10, yeah, I can't explain it either. Defense of 1 is atrocious but this is a model that should never be allowed to be engaged. If it is, it has Armor +5 so even big hitters are going to have trouble breaking it. The Pigapult is Reckless and you always want to use this ability because of Bacon Load. Bacon Load allows you to sacrifice one friendly Pig within 3” to heal 1 damage. 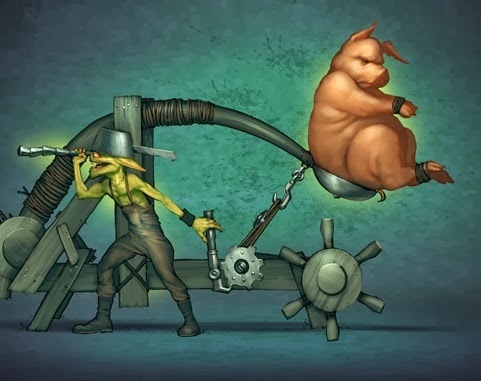 Example, the Pigapult activates, uses Reckless then sacrifices some sort of Pig and is right back to its maximum of five wounds. The Pigapult doesn’t move, it has a walk stat of two, it is a piece that you should deploy to cover the maximum amount of territory while giving the enemy a hard time to get a solid bead on it. Let me repeat that, Pigapult does not move and should never be caught in engagement because it stands a snowballs chance in hell of getting away. The Pigapult is also Ht 3 so it helps when Line of Sight is actually important (it isn’t for this model). The Pigapult has two attack actions the first one is a (1) Action to use Rocks as Pigs. At Sh 4 and with a 12-inch range that does not require Line of Sight and ignores cover, this attack is the lesser of the two. This attack will do 2/3/5 damage though so if you can hit it, you can do some decent damage. 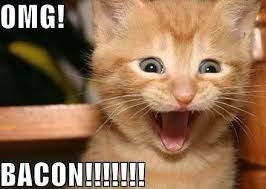 The second Attack action is a Bacon Barrage. (MMMMMMMMM…. 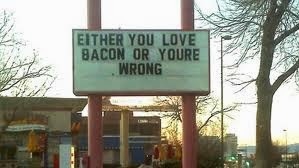 Bacon……..). This attack can only be used if you have sacrificed a Pig to fuel the Pigapult. If you have (Why wouldn’t you? ), it then has an attack that ignores Line of Sight and Cover at 24-inches. Now depending on what you used to fuel the Pigapult that turn will determine what your Sh and Damage tracks will be. If you sacrifice a Piglet, Boar, Warpig et al then you get Sh 6 with 2/4/6 and cheatable damage flips. If you sacrifice a Stuffed Pig then you will be Sh 5 with a 3/5 blast/7 blast damage track that will not be cheatable due to the Stuffed Pigs BLAM! Ability. Lastly, on the Pigapult we have one Tactical Action, Launch’n. This action allows the Pigapult to place a friendly Ht 1 model within 2-inches, anywhere within 24-inches of the Pigapult. The target will gain the Paralyzed condition because, well, have you ever been flung out of a Catapult? Overall, the Pigapult is a model that can bring a wholly different style of play to the Gremlins. Being able to threaten 2/3 of the board from your deployment zone is a huge advantage and your opponent knows this. Expect to be rushed when you field this model. I find the Pigapult does extremely well in horde style crews because of the activation advantage. If you can out-activate your opponent then you can launch some unactivated Ht 1 models into his deployment zone (*cough* Stuffed Pigs *cough*) to be dealt with on the next turn. Hell you could dump them as speed bumps onto your opponents heavy hitters and force your opponent to deal with them. Now this isn't a model that should be taken lightly by either you or your opponent. You have to build a crew with the Pigapult in mind. That said it can be a devastating model to bring to bear against your enemies, just ask the Hedfields, if you can find any. Is it worth having a Taxidermist there to make new Stuffed Piglets from corpses and keep the thing supplied? If not, how else do you get your pig supply? There are a couple of ways to go about it. Somer has a trigger on melee that can make pigs and Ulix can summon them. Depending on what the cost of Stuffed Pigs turns out to be, it may be worth hiring some to use to fuel it as well. Without knowing exactly what the Wave 2 models will do it's really hard to say. I think the Taxi is better used for upfield summoning when paired with Somers Do it Like Dis, but that can change. Until we have the final data I can't really say. I would offer that one of the best ways to keep the Pigapult fed is to use Lenny and his upgrade. Adding Som'er for the auto trigger makes it even easier (relent his attacks on the Pigapult to incur the double negative flip and increase the odds even more). It is a bit expensive but with Som'er and Lenny pumping out "free" models via summoning and the Pigapult killing your opponents before they can retaliate it can be fairly effective. Though the Taxidermist and Stuffed Piglets aren't overly likely to change from Beta testing they are a much less attractive option due to the limitations on his summoning (0 action limits him to once per turn unless you manage to reactivate him somehow) and the negatives incurred by using the Stuffed Piglet for ammo (the loss of accuracy is a big trade off for a small increase in damage), It can be done but it isn't really an optimal build. Outside of Som'er and Lenny the Pigapult tends to be to large of an investment to really justify.